McBusted's dad-to-be Harry Judd has spoken out about how happy his wifes pregnancy is making him, and it is so sweet! If you were to go on McBusted’s Harry Judd‘s most played iTunes list, we’re pretty confident in saying that Natasha Bedingfield and ‘I wanna Have Your Babies’ would be pretty high up on the list. And why are you so confident in this? !- we hear you ask. Oh, only because dad-to-be Harry has gone absolutely baby mad. Full blown ga-ga goo-goo. And guess what? We are flipping loving it! It has been just over a month since Harry, 29, and wife Izzy announced that they were expecting a baba- and it seems that’s all the time you need to catch ‘Soppy Dad Syndrome’. Speaking to Metro, Hazza said- ‘Some women can feel quite self-conscious, but I’m one of these guys that finds it really attractive, so bring on the pregnant look- I think it’s amazing’. He then added that there is absolutely no way Mrs Judd’s plate will be restricted during her pregnancy, as he is actively encouraging her to eat as much as she wants- ‘the most important thing is keeping her safe and having a nice healthy baby’. *Sigh* Is anyone else feeling like we might have missed the boat with this one?! The couple finally managed to conceive after undergoing IVF treatment, due to unfortunate baby struggles on account of Izzy’s polycystic ovaries. They announced the happy news seven weeks ago in an Instagram post dedicated to their ‘miracle’. Haz told Hello magazine of how this has made Izzy‘s pregnancy extra special, ‘You feel like you are never going to be the ones who get to say, “We are having a baby.” That is why we feel so blessed now’. 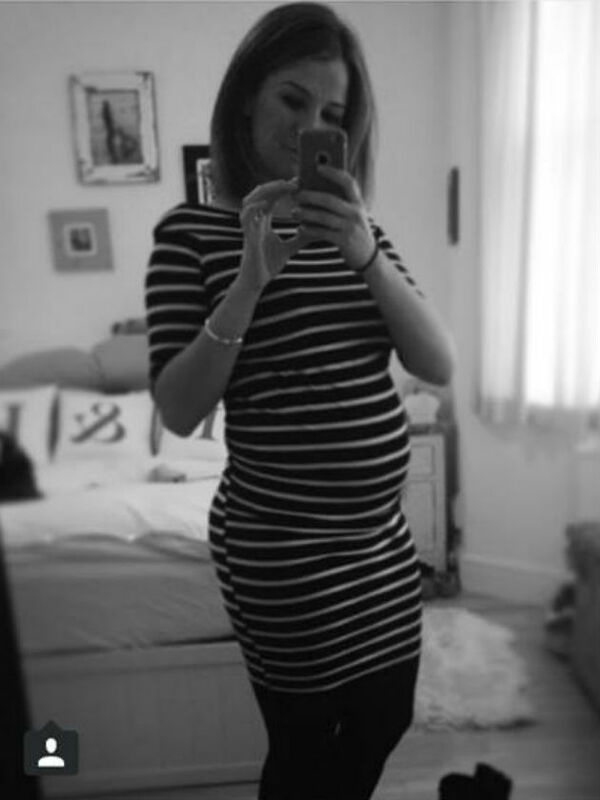 And a scroll through Mr Judd’s Instagram shows that this is one fella who is celebrating every single preggo-moment. Posting a snap his wife looking bloomin’ lovely, Harry gushed ‘Look at that beautiful bump. I can’t wait #BabyJudd’. Many comments of well wishes followed the post, with messages reading ‘Aww! Harry I bet you’ll be an amazing dad’, ‘Can’t wait to meet the baby Judd, beautiful bump!’. And we couldn’t agree more- massive congratulations to the Judd’s!